BRING US AN OFFER!! Brick and vinyl split level on one of the biggest lots in Doubletree West! You will love the private landscaped and fenced in yard complete with a 30' pool and deck. 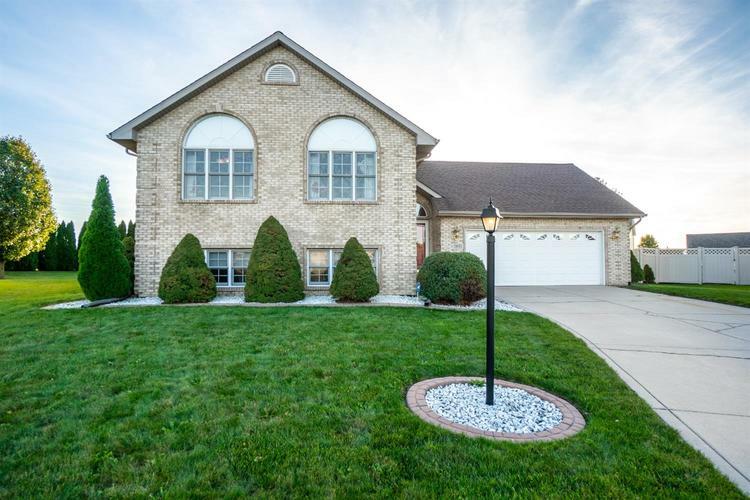 You will love the the bright vaulted foyer with access straight to the back yard. Upstairs there is hardwood laminate flooring, and oversized palladium windows that provide an abundance of natural lighting! Chef's kitchen has staggered height cabinets with crown molding, and newer stainless steel appliances. Main floor has 3 bedrooms and 2 baths including the generous sized master suite with private bath and walk in closet. Lower level has 9' ceilings, gas fireplace, two additional bedrooms, a cozy den/ storage room, finished laundry room with new high efficiency washer and dryer, and a third bath. Whole house generator and ADT security system are just a few additional upgrades in this home.